Nokia has announced the N93 successor to the N90. If you like taking pics and shooting with your cell phone then the N93 is just for you. It features a 3.2 megapixel (2048 x 1536 pixels) camera with a Carl Zeiss Vario-Tessar lens, 3x optical zoom and up to 20x digital zoom as well as autofocus and close-up mode for amazing clarity and accuracy. It has an active camera toolbar which displays all available capture features, from exposure value to color tones and white balance. 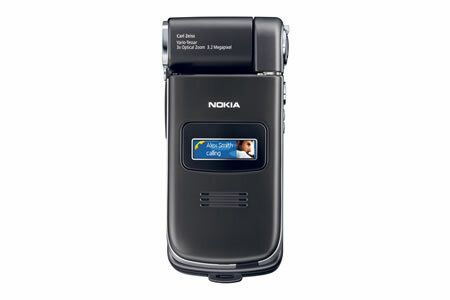 The N93 captures video in MPEG4 format at 30FPS and with stereo audio recording and digital stabilization you get smooth and shake free movies. You can view the captured images and video on the 262,144 color 2.4″ QVGA display or on the big screen via TV out. The WCDMA Triband GSM clamshell supports EDGE and runs on Symbian Series 60 3rd edition. The Nokia N93 has 50MB of internal memory which can be expanded via Micro SD cards (upto 2GB). It includes Bluetooth and WLAN connectivity with support for TV watching over 3G networks. 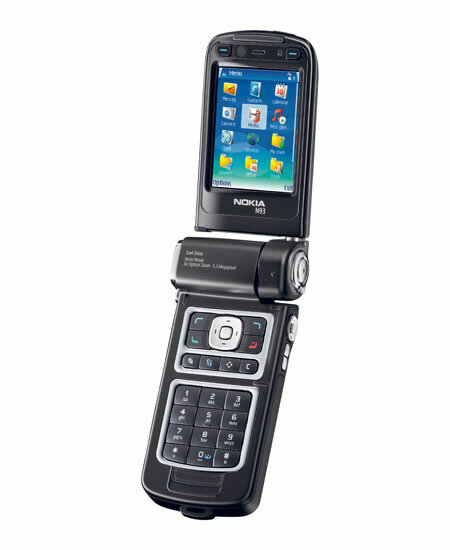 The Nokia N93 includes a stereo FM radio and a digital music player that offer a fantastic music experience. The phone comes with Nokia Music Manager which lets you rip CD’s and transfer the songs to the phone and Adobe Premiere Elements 2.0 for adding effects and editing videos. 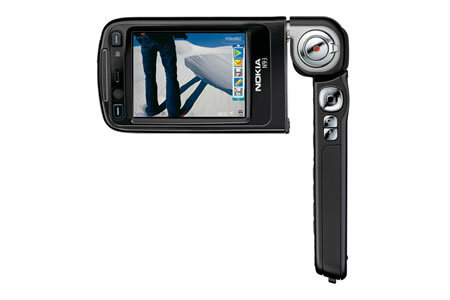 The Nokia N93 will be available from July 2006 for 550 Euros ($ 680).